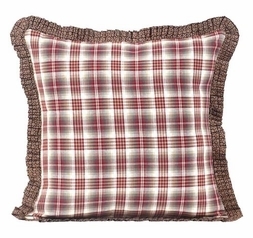 The Tacoma pillow features a red plaid fabric with a 1" box pleated flange around the edge in a brown floral fabric. The back is a brown floral fabric. 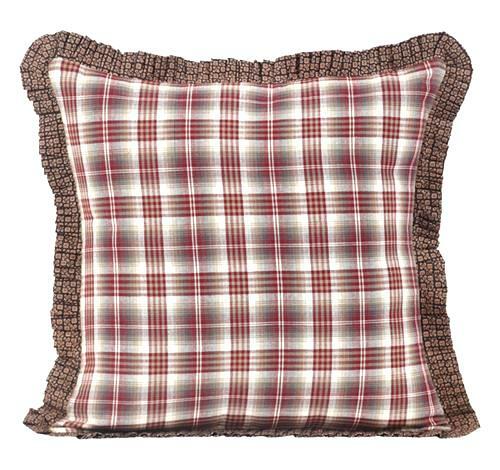 Fill pillow insert included.